Get soothing, maximum pain relief with the healing power of nature. MaxRelief products provide fast, effective topical relief for the minor aches of sore, overworked muscles, sprains, arthritis and more. Get Penetrating Pain Relief in a Soothing Cream. The natural ingredients in MaxRelief create a soothing warmth that increases the circulation to the area where the Pain Relieving Spray or Cream is applied. This process, known as vasodilation, allows for greater blood flow to the painful area – the natural response your body has to treat pain and inflammation. 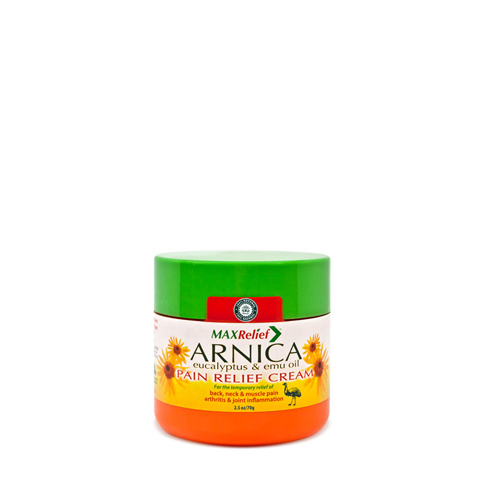 A key ingredient in our formulas, Arnica Montana, has been used effectively to treat bruises and injuries, reduces pain and inflammation, and aids in the recover of tired or overworked muscles. 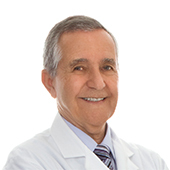 Being a chiropractic physician for approximately 45 years I have treated hundreds of patients for a variety of injuries. 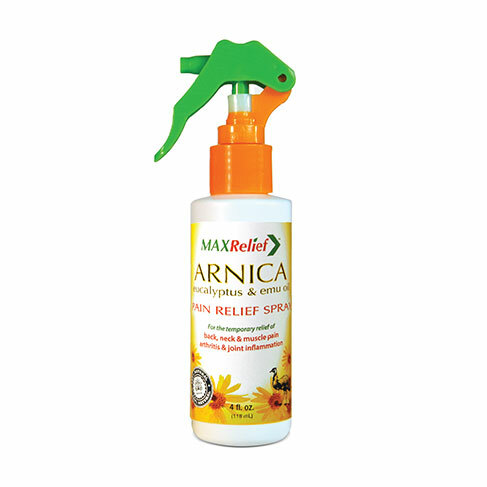 Recently, I personally used the the MaxRelief Pain Relief Spray. With it, I had quick and dramatic relief that was quite impressive. I highly recommend this product, especially to athletes and those who engage in physically active lives.